In this review I’m going to be taking a look at Tai Lopez’s latest program named the Entrepreneur Starter Kit or ESK for short which claims it can teach you how you can start your own business in just 8 weeks or less with only 15 minutes of your time being required each day over the duration of the course. I think you’ll agree that Tai’s definitely making a very bold claim so is it actually legit or is the Entrepreneur Starter Kit a scam that’s merely out to part you with your hard earned cash? And how the heck’s it even supposed to work? Those are exactly the things I’ll be uncovering right here in this Entrepreneur Starter Kit review – meaning if you’ve been thinking about getting started with it then you can rest assured that you’ve landed in the right place to find out everything you need to know about it (and Tai Lopez himself) before you do. What Exactly Is The Entrepreneur Starter Kit? 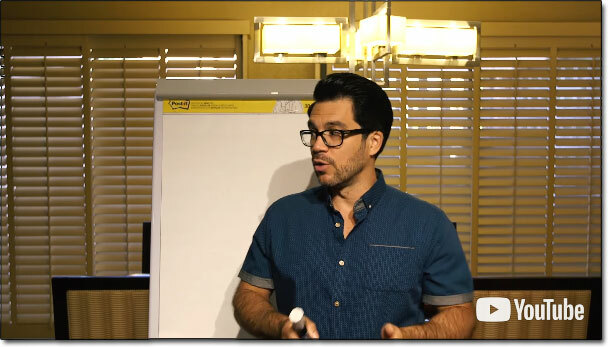 As I briefly touched on above the Entrepreneur Starter Kit or ESK for short is Tai Lopez‘s latest money-making program through which he claims he can teach you how you can start your own business in under 8 weeks, even by investing just 15 minutes of your time per day. Tai stresses the fact that he believes in order to live “the good life” as he calls it you need to have multiple streams of income – which many people typically don’t have, and he wants to help them acquire them. So if you’re willing to give him just 15 minutes of your time per day he claims his step-by-step ESK program will be able to teach how you can start your very own business even if you have little money or experience. He also claims that his training is the most up-to-date business training available & that it beats the competition hands down because it’s been published by somebody with real-world experience in starting & growing a business. And the course is mobile friendly which means he’s made it accessible for pretty much everybody – providing you’ve got a phone & access to the internet then you can follow his 8-week daily course. How Does The Entrepreneur Starter Kit Work? The course itself is pretty simple – you’ll be given access to training which in it’s entirety will last an 8 week period, and each day you can choose how much of the course you want to digest. So you can choose to invest just the recommended minimum of 15 minutes of your time if you like, or alternatively you can get things moving quicker by spending more time going through the material. The course has a heavy focus on helping you figure out three things – your strengths, weaknesses & trends. Then it talks about how you can capitalize on these to make money by solving problems. As an example last year Tai Lopez started a program named the Social Media Marketing Agency which taught people how to manage social media for small businesses & it made him multiple millions. So from figuring out just 3 simple things he then went on to solve a problem & made multiple millions as a result. Though whilst it seems easy on the surface it’s clear that a lot of work definitely went into his program. But it’s also clear that if you’re willing to put in the work then Tai Lopez certainly knows his stuff & I’m confident that his ESK program will certainly be able to help you find success, or at least get closer to it. How Much Does The Entrepreneur Starter Kit Cost? Prior to launching the program Tai Lopez said that he ran a poll asking people how much they’d charge for access to the course & the top 2 answers were $25,000 & $10,000 which obviously is pretty steep. Thankfully Tai didn’t decide to roll with these prices, instead he decided to put the program on sale for $997 which I think you’ll agree is still quite a lot of money but it’s certainly more reasonable. You can pay for the program in full or alternatively you can choose to opt for a payment plan in which the cost will be split up into 4 equal monthly payments slightly lessening the impact on your wallet. However at the moment the Entrepreneur Starter Kit is currently closed for new members, instead if you want to get access to it you’ll have to sign to Tai’s email list through which you’ll be notified when new slots become available. To sweeten the deal of signing up into the ESK program (and justify the rather hefty $997 price tag) Tai has decided to throw in some additional bonuses for those who decide to buy into the program. Access to a private Facebook group – nothing too exciting but it will give you the ability to meet like-minded people & chat with other members who are going through the ESK program. Tai claims to normally charge $4,000 to access this group so in that sense, yes it’s a bonus – but to be honest there’s no way I’d be paying $4,000 per year to join a Facebook group (or believe that it could ever be worth it – just my opinion). 1 free ticket to a Tai Lopez event – tickets to Tai’s events usually cost $100 to $500 but if you buy into the ESK program you’ll be given one for free, though it doesn’t include travel or expenses – just the entry ticket. 10 free business ideas – if you happen to struggle coming up with ideas as to what kind of business you want to start then you’ll be glad to know that Tai’s including 10 proven ideas which include things like selling clothes, building apps & consultancy businesses. My Verdict – Is The Entrepreneur Starter Kit a Scam? It’s definitely not a scam – you do get a lot of value given to you through the Entrepreneur Starter Kit program & it’s good that’s been designed in a way to be broken down into 15 minute daily bite-size chunks. However the only quibble I have with it is that at $997 it’s pretty expensive – but at least Tai Lopez does offer a 60 day money-back guarantee on the program so you do have the opportunity to get your money back if you find you don’t like it or it’s not for you. Though Tai Lopez is a guy that definitely knows what he’s talking about & there’s no doubt that “he’s been there & done that” so as you progress through the program you can rest assured you’re getting good advice. Therefore overall I’m going to be giving this program a thumbs up – yes it’s expensive, but you’re getting good advice & it’s laid out in an easy to digest format with some golden nuggets dropped along the way.